I’M THE NEWEST CAST MEMBER! 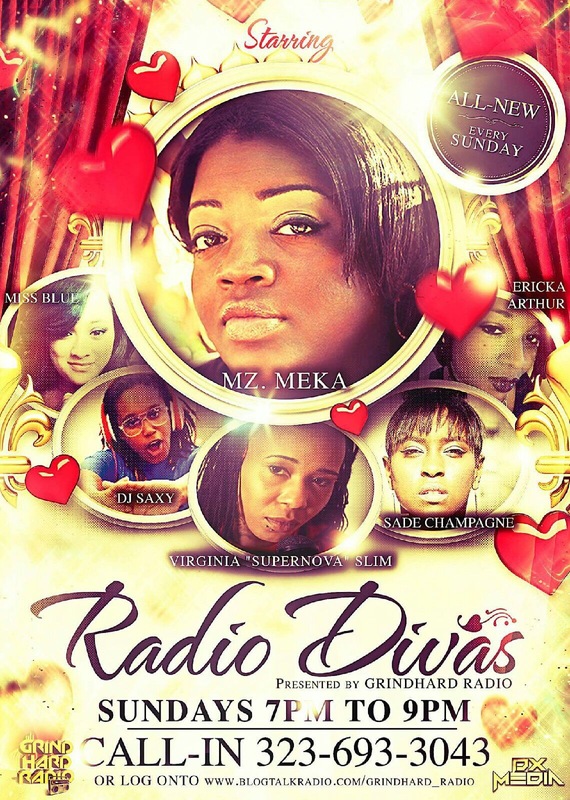 Yours Truly Has Been Invited To Join the Gritty GrindHardRadio’s Empowering RadioDivas Cast as a CoHost! This Sunday’s Season Premiere (1.17.16) promises to deliver fun, “keep it 💯” dialogue, while tackling tough issues affecting women and urban communities as a whole. Incredible Indie Artists among other Special Guests to be featured throughout the season! BE SURE TO CLICK TO SUBSCRIBE TO FOLLOW authenticitee! LET’S STAY CONNECTED! YOUR SUPPORT IS GREATLY APPRECIATED! Good for you! Have lots of fun! That is so cool e! Nice pic too! One of my favorite bloggers, authenticitee, is co-hosting a radio show…check out the post for details. Oh & I put the “language advisory” in bold. Previous Previous post: MEET & GREET! IT’S authenticitee’s 1st BIRTHDAY!